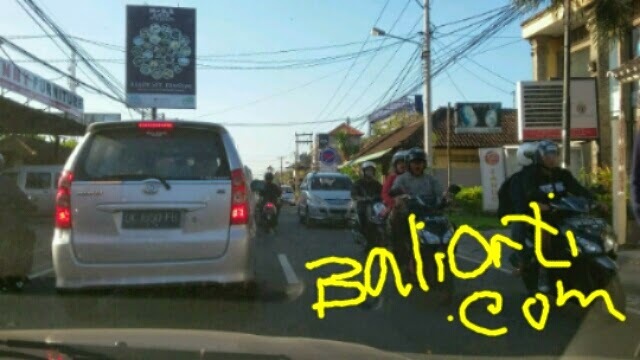 Traffic jams are common in Bali. But if it happens at the access road to siwata object, then the traffic congestion is hell. Travelers will feel aggrieved because his journey disrupted. Especially during the afternoon. Kuta and Denpasar is the economic hub of Bali. Many people come and go to Kuta and Denpasar to work. Kuta as the center of tourism in Bali has a high employment. Therefore, many people go to Kuta in the morning and leave in the afternoon. So every morning and afternoon, the road to and from Kuta always traffic jams occur. Throughout the day, during the afternoon, the street in Kuta will always traffic jams occur. This road is hell for tourists. Because of the way in Kuta Attraction connect with each other. Interrelated and connected. This road is also a priority and the closest access to the attractions that exist in the area of ​​southern Bali. Car users and that person was in the car is the most tormented by traffic congestion in Kuta. Since each car must go hand in hand, can not overtake, and must have patience, because the very low speed. Motorcycle and scooter users can freely on the road with oncoming traffic jams. Because motorcycles and scooters can enter the narrow gaps between the cars stopped.